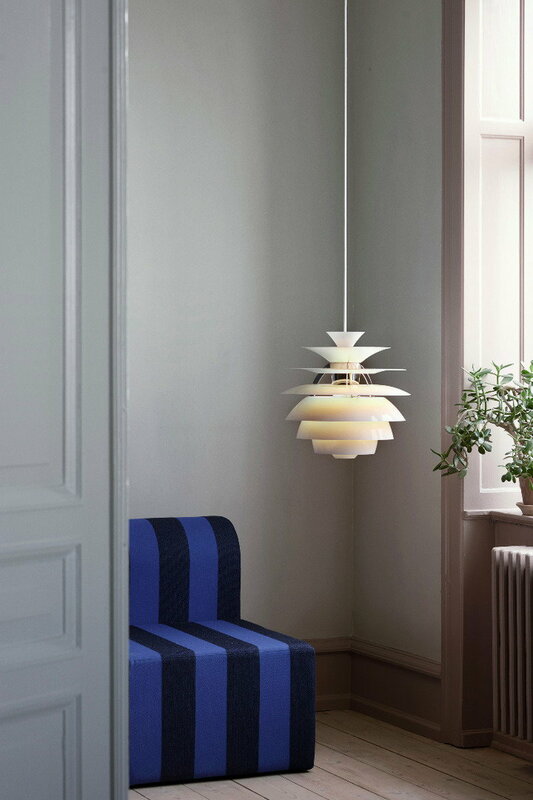 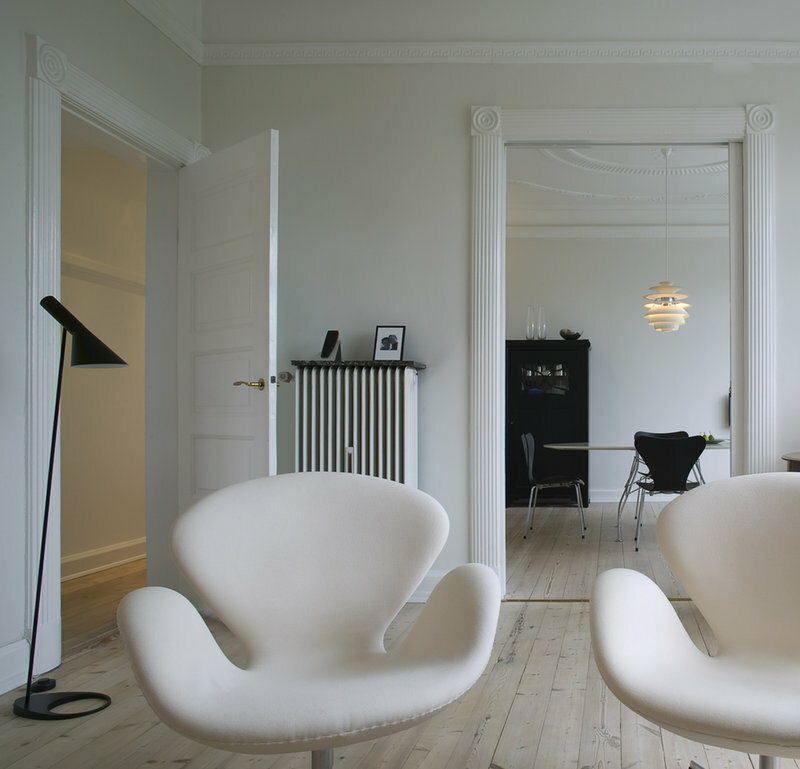 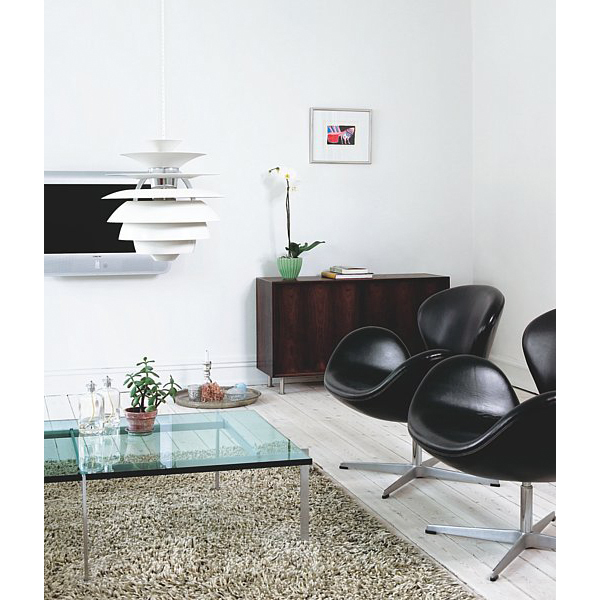 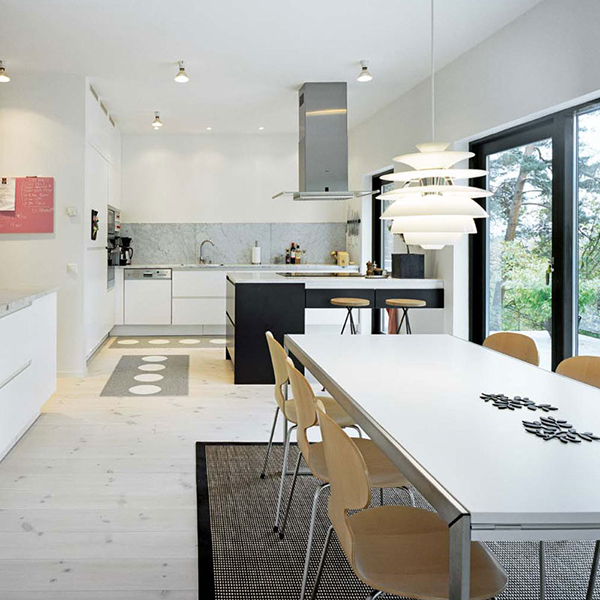 PH Snowball pendant was designed by Poul Henningsen in 1958, and it has been manufactured by Louis Poulsen since 1983. 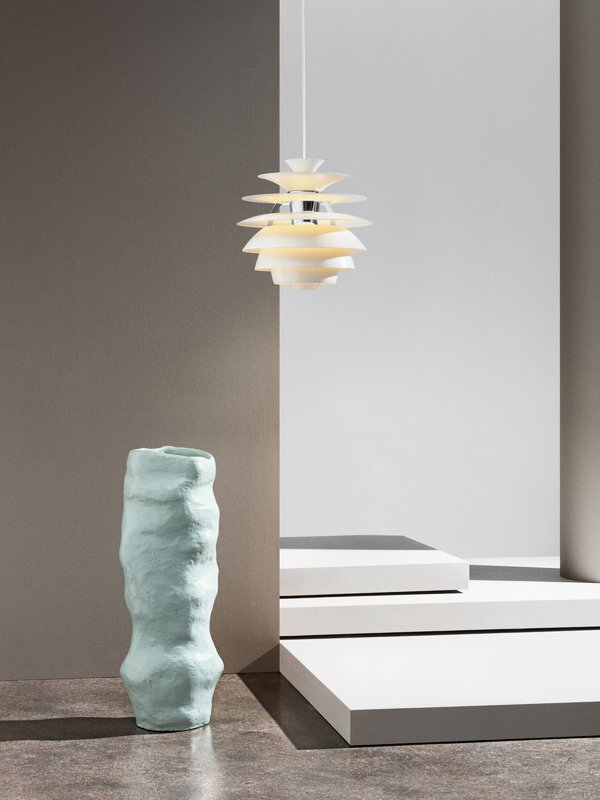 PH Snowball is characterized by a layered structure of round shades that reflect the light in an expressive yet soft manner. 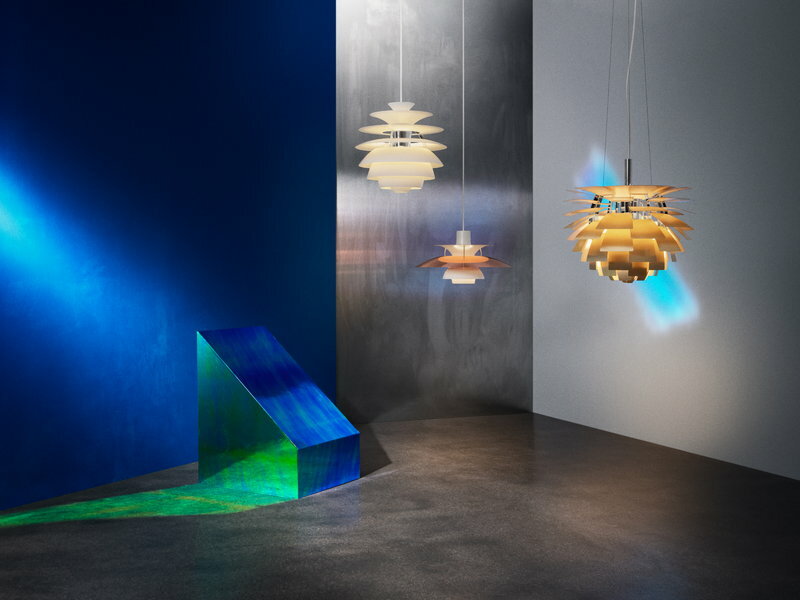 The glossed top surfaces and matted undersides create together a glowing effect, and the non-glossy undersides prevent reflections and glare. 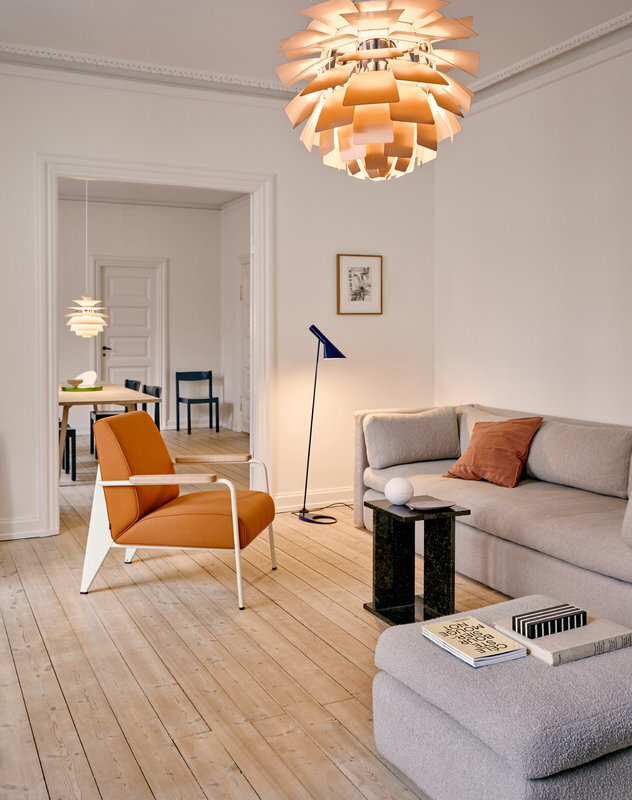 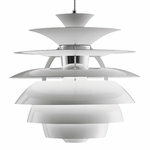 PH Snowball is a smaller version of the PH Louvre pendant which Henningsen designed for the Adventist Church in Skodsborg, Denmark. 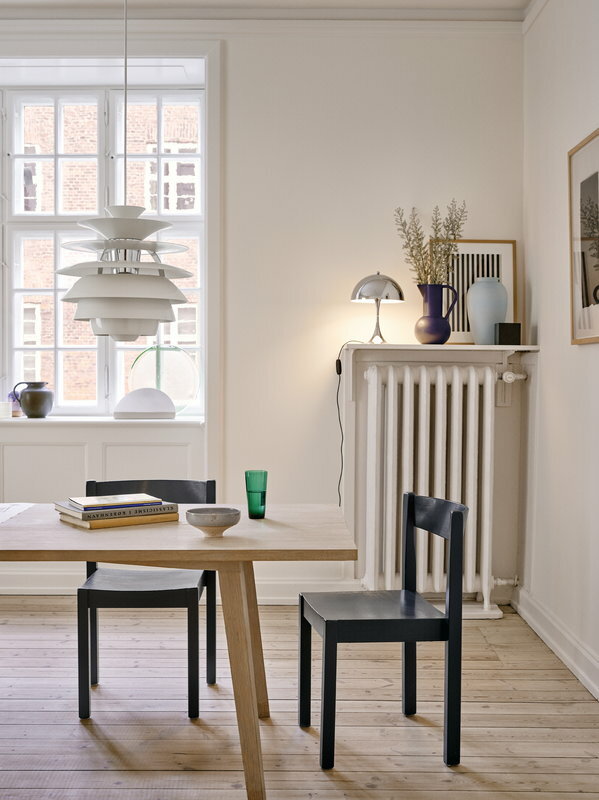 With its diameter of 40 cm, PH Snowball fits beautifully above dining tables and sofa sets. 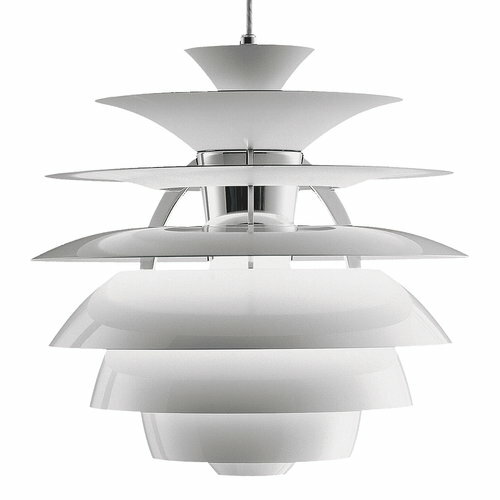 Shades: Spun aluminium. 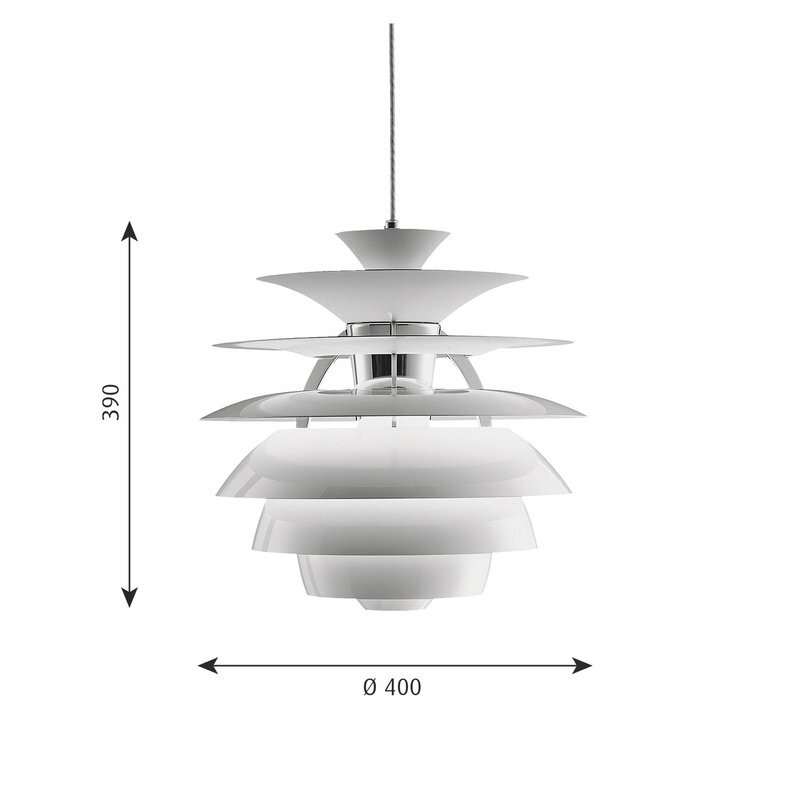 Frame: High lustre chrome plated, die cast aluminium. Housing: High lustre chrome plated, spun aluminium.